The last assignment for our Illustration Seminar Class was to illustrate another student or teacher. Our teacher would take photos of everybody, print them and then every student could pick one (facing upside down on the table). I got to paint our teacher – Chris Payne. 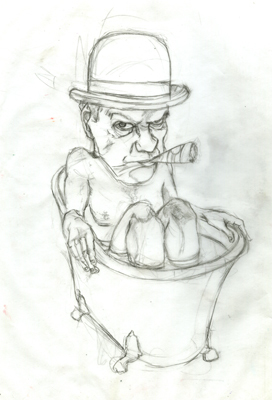 I thought it would be fun to place him into an old western style bath tub with a fat cigar in his mouth. 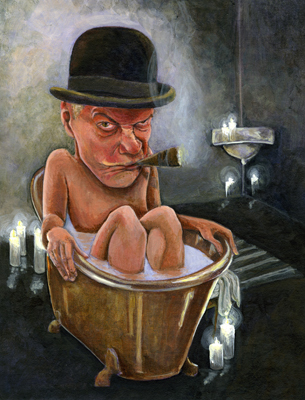 This entry was posted in Blog, Illustration and tagged Illustration, mixed media on May 20, 2009 by admin.